Graduation in any discipline from a university recognized by the Government of India or any equivalent qualification recognized as such by Central Government. Candidates are requested to read the contents of the advertisement and ensure their eligibility before applying. 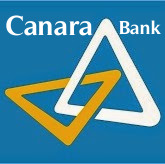 Application duly completed in all respects should be sent along with the documents (self-attested) mentioned below by REGISTERED POST / SPEED POST only in a cover super scribed “Application for the post of Manager - Security [MMGS-II] in Canara Bank”.